Stunning Medieval Farmhouse with Private Pool. 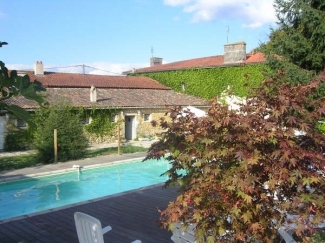 Manoir Caubeyran (1540), is a beautiful, spacious, six double bedroom, country house in ancient Gascony. A medieval noble farmhouse, captivating and charming, it has everything for that perfect holiday, in the heart of south-west France. Sitting in three hectares of grounds, including a swimming pool and gardens, the ancient farmhouse quietly rests in the hamlet of Monclaritz; overlooking the wooded Lisos valley. 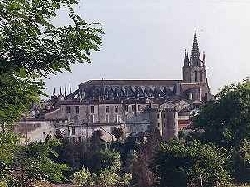 It lies between the two wine villages of Cocumont and Grignols. It is ten minutes from the wonderful bastide-town of Bazas, a UNESCO World Heritage Site; twenty minutes from the holiday spa-town of Castlejaloux; and under one hour from Bordeaux. Perfectly positioned to discover Aquitaine, surrounded by activities for all the family, Manoir Caubeyran has been sympathetically restored. 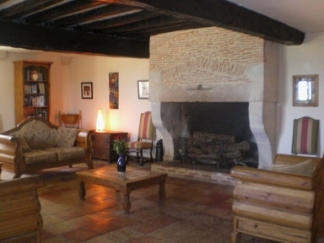 It retains all its original charm, character, and features; including massive beams, huge fireplaces, original stonework, etc... Holiday in a beautiful piece of French heritage. 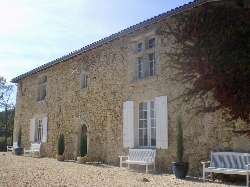 Manoir Caubeyran is located in the heart of south west France, at the very center of Aquitaine, and among the wines of Bordeaux. It quietly rests on the Gironde / Lot-et-Garonne border. It is just 20 km from the Parc Natural Regional des Landes de Gascogne. It lies in the Lisos valley, between the two wine villages of Cocumont and Grignols. It is ten minutes east of Bazas; twenty minutes west of the holiday-spa town of Castlejaloux; and under one hour south-east of Bordeaux. The Gironde forms part of Aquitaine, in south west France. It is famous worldwide for its wine, and for its beautiful Atlantic coastline. The main city is Bordeaux, bustling and cosmopolitan, with stunning architecture. Gironde is an area of beautiful old villages, such as St Emilion, and areas such as the Medoc, Sauternes, Graves, and Entre-Deux-Mers to explore. Gironde is also home to the coastal resorts of Biscarrosse, Lacanau, and Arcachon, where the Atlantic waves allow for excellent surfing. Manoir Caubeyran, built in 1540, has been sympathetically restored, offering all the conveniences of modern living. It retains all its original charm, character, and features; including massive beams, huge fireplaces, original stonework, nooks and crannies etc�There are many beautiful pieces of original art throughout the manoir. There are six bedrooms, sleeping thirteen, plus additional baby-cots, and folding-beds. Three of the bedrooms have their own (en suite) bathrooms, including; bath, shower, W.C. The manoir is surrounded by three hectares of its own grounds, and reached by a private drive. 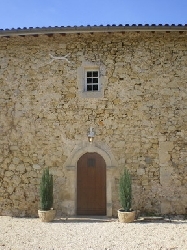 Manoir Caubeyran is noted for its stone-cross windows. The great room features a massive fireplace, beautiful furniture, and many pieces of original art. 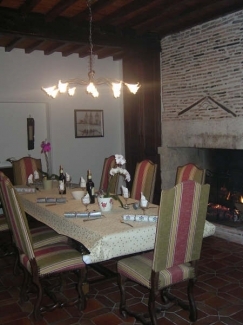 The dining room also has an original fireplace. There are furniture pieces from France, Ireland, and the Americas. The bedrooms and bathrooms are light, airy, and understated. They are finished to a fresh clean contemporary style. There are five bath/shower rooms in total. There are six W.C. 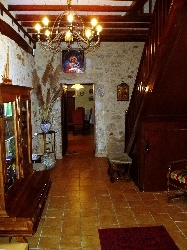 It is an ideal base for a relaxing and/or activity holiday, combining; walking; cycling; swimming; taking to the spa; touring the local towns, villages, and markets; visiting the vineyards; kayaking the many rivers; golfing, surfing, dining out in a large selection of nearby restaurants and auberges; or just simply doing nothing around the beautiful house and grounds. An eclectic library of over eight hundred books is maintained at the manoir for guests. The Manoir is ninety minutes inland from the oyster beds, giant dunes, surfing beaches, and family resorts of the Atlantic coast. It is just south of the major waterways of the south of France; the Dordogne, the Lot, and the Garonne, all within one hour; and ten minutes south of the canal, (Rick Stein - French Odyssey). Manoir Caubeyran is perfectly positioned, to explore �Ancient Gascony�, present day Aquitaine, the wines and wonders of Bordeaux, and south-west France. It is two and a half hours from Lourdes and the Pyrenees, and three hours from Spain. 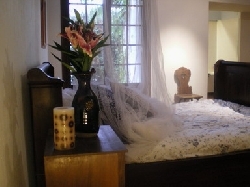 Holiday in a beautiful, tranquil, piece of French heritage!